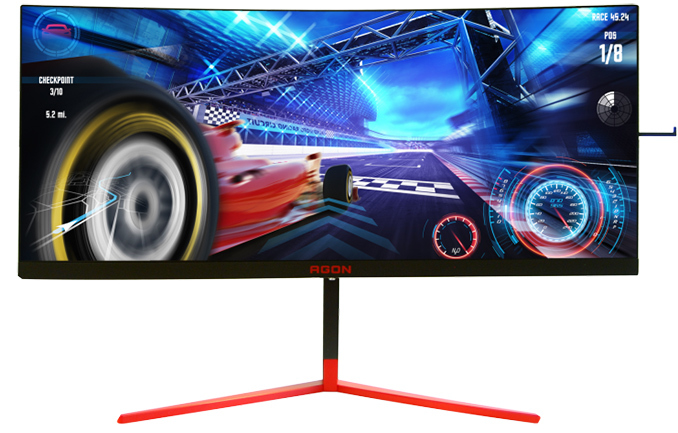 The Agon AG353-series monitors will rely on a 35-inch curved VA panel featuring 3440×1440 resolution, 1000 nits peak brightness in HDR mode, a 2000:1 contrast ratio (a bit lower than what you come to expect from a VA panel), a 1 ms MTRT response time (4ms GtG), and a 200 Hz maximum refresh rate. The displays will carry the DisplayHDR 1000 badge, so they will support at least HDR10 transport. Furthermore, they are promised to cover 100% of the DCI-P3 color space, which is something that not every IPS-based LCD can do. According to TFTCentral, the device will support HDMI 2.0, DisplayPort 1.4, and come with 2x8 W speakers. A four port USB 3.1 (5 Gbps) is also provided. 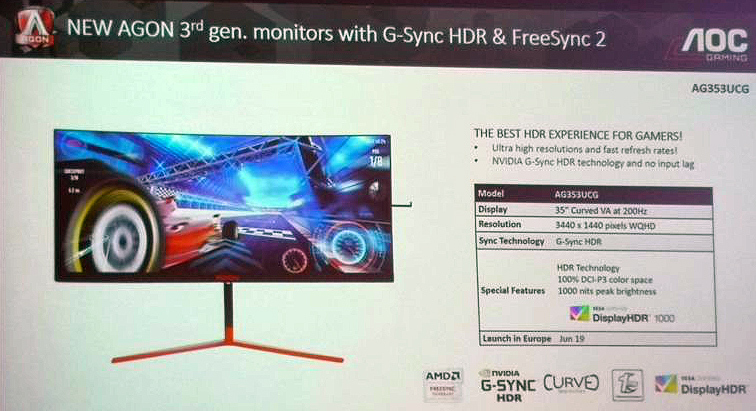 It says right in the article that the G-SYNC version will support FALD (512 dimming zones). So yes, at least for the G-SYNC version will support local dimming.